Realtree camo print and Yeezy pants. Ironically, this man’s camouflage stood out like a sore thumb on the New York City subway. My first thought was: Are you lost? As far as I know, there is no hunting allowed in Central Park. But the rest of the man’s outfit — well-tailored sweatpants, cool-looking sneakers, and a fanny pack slung over his shoulders — made me think that he was hunting for streetwear clout, not game. If you, too, have thought to yourself lately Why does everyone look like they’re going hunting? it’s because, thanks to Kanye West and his camouflage-heavy Yeezy Season 5 collection, a lot of people suddenly want to look like they’re going hunting. Back in January, we dubbed the look “hipster mountain ranger,” citing other menswear brands like Heron Preston, Louis Vuitton, and Vetements — all of which showed some variation on camouflage in their fall 2018 collections. (Supreme has also produced very cool camo in the past.) But Kim Kardashian West has been wearing Kalabasas Kamo for some time now, too. 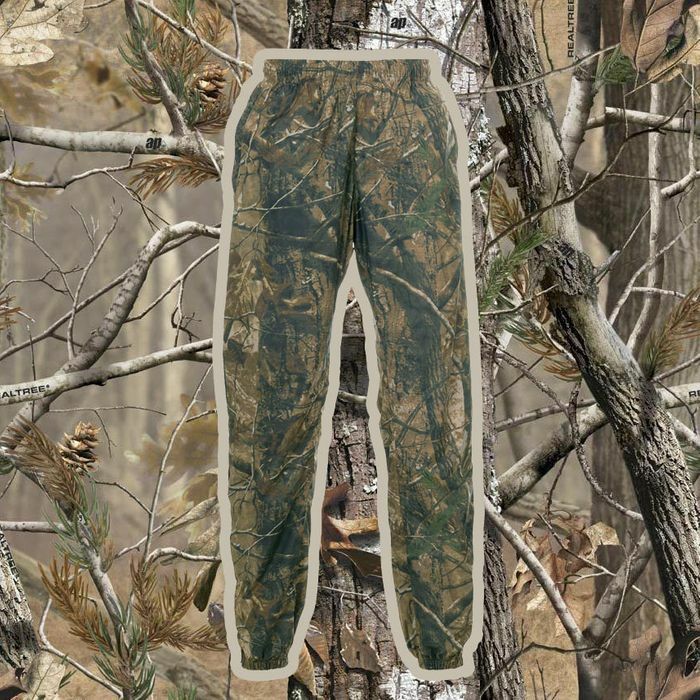 According to Jordan Outdoor Enterprises, a popular camouflage pattern manufacturer, Kanye West’s Yeezy camouflage looks a bit too much like the real thing. In fact, the company filed a lawsuit against Yeezy on Thursday for producing an “unauthorized copy” of their camouflage collection. People magazine to have gotten its hands on court documents, which claim that a representative from Yeezy reached out to Jordan Outdoor Enterprises in March 2016 with “inquiries about their camouflage design.” However, according to the lawsuit, Yeezy went silent after the subject of licensing was brought up. Now, the company is accusing Yeezy of removing its trademarks from the original camo print. Maybe we’re blind city folk, but a twig is just a twig, no? Mother Nature was not available for comment.